With a balance of seasoning that includes fresh herbs and lemon, this recipe makes the perfect roast chicken every time. Preheat the oven to 375 degrees. Season the cavity of the chicken, liberally, with salt and pepper. Stuff the thyme, rosemary, lemon, and garlic into the cavity of the chicken. Truss the chicken. Season the skin of the chicken with salt and pepper. 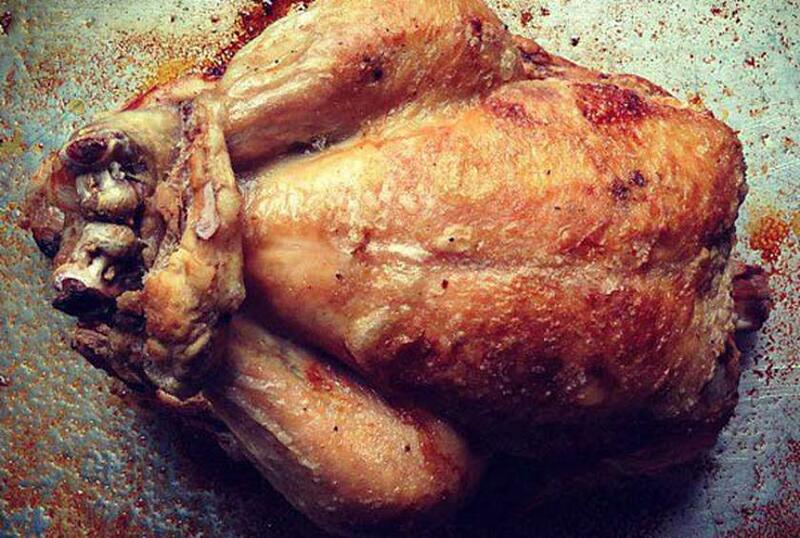 Place the chicken in the oven for 1 hour. Check to see if a thermometer, when inserted into the thigh, reads 160 degrees. If it does not read 160 degrees, place the chicken back in the oven and check again every 10 minutes until it is ready. If the thermometer does read 160 degrees, pull the chicken out and allow it to rest for at least 20 minutes before carving it. Serve the chicken family-style with your favorite side dishes. Any leftover meat is great for chicken sandwiches.